Vauxhall porcelain, London, c.1755. 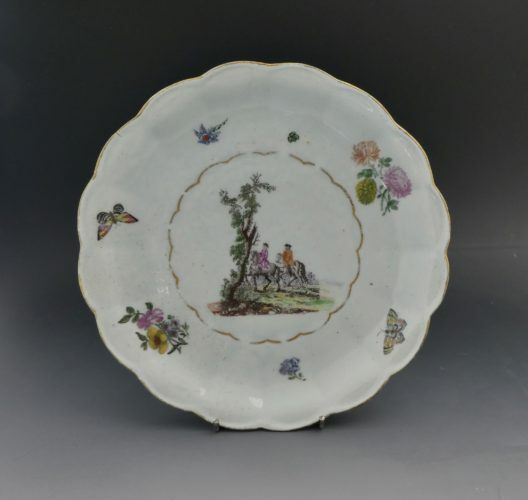 A rare polychrome printed plate. Arita porcelain. 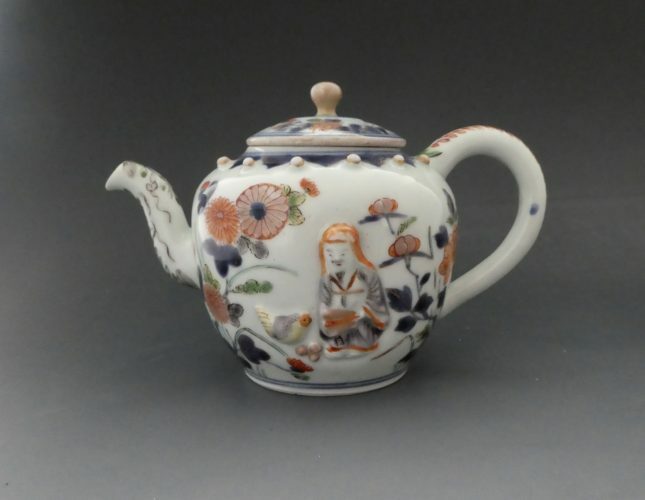 Rare moulded teapot painted in the. Imari style. c. 1700. 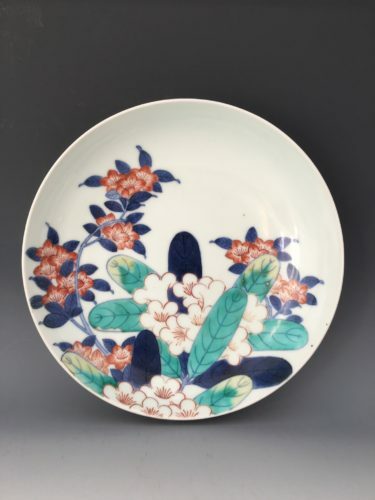 Nabeshima porcelain dish, painted with flowering rhododendrons. Japan, c. 1700. 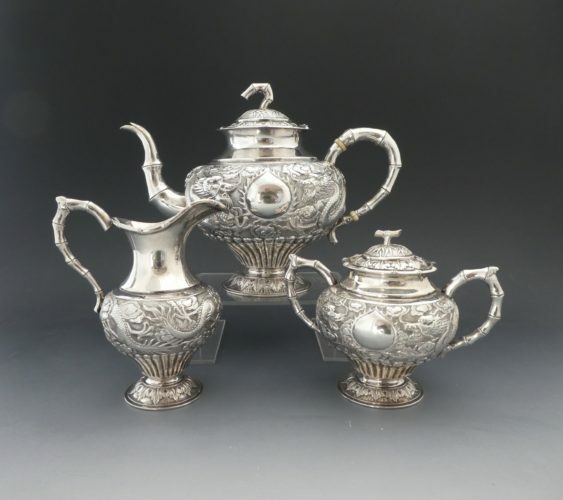 Oriental, English and Continental ceramics and works of art.